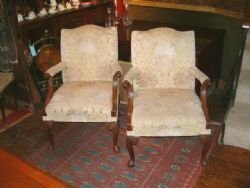 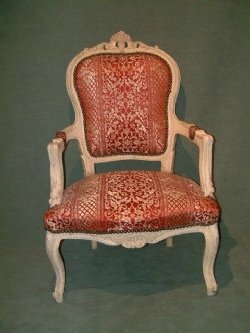 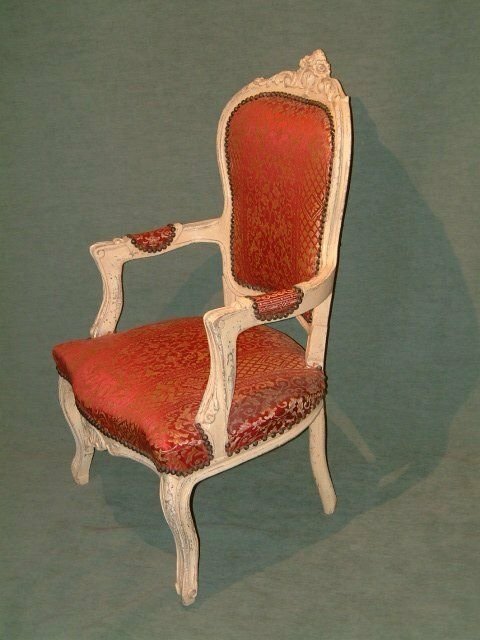 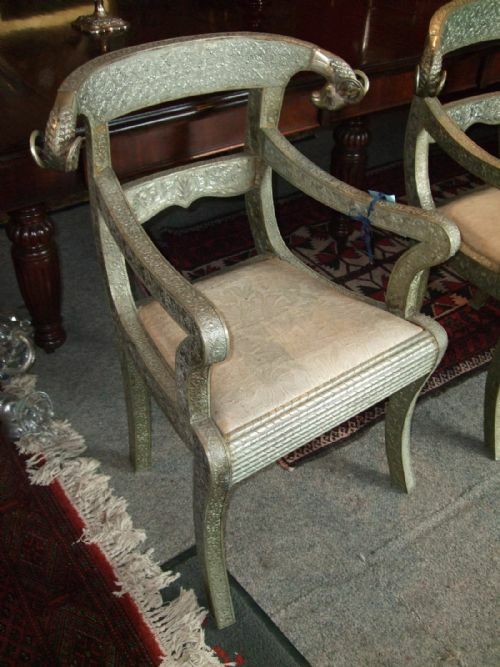 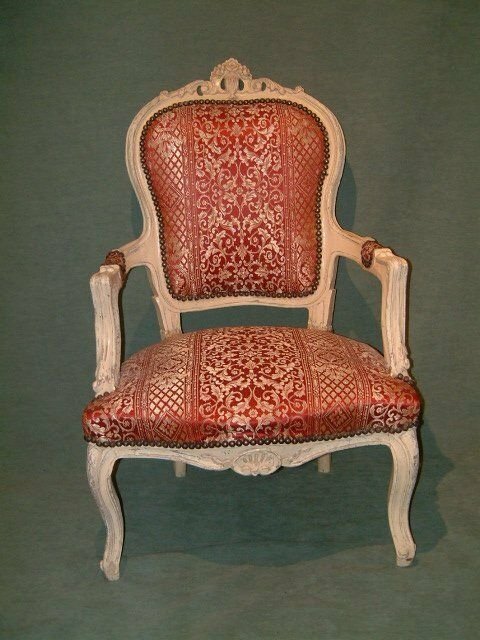 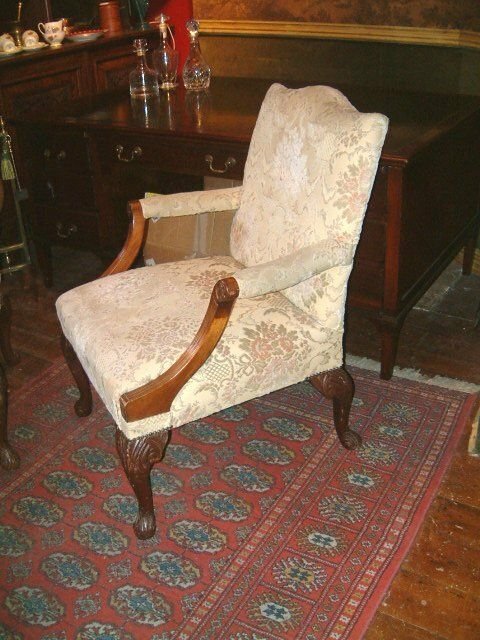 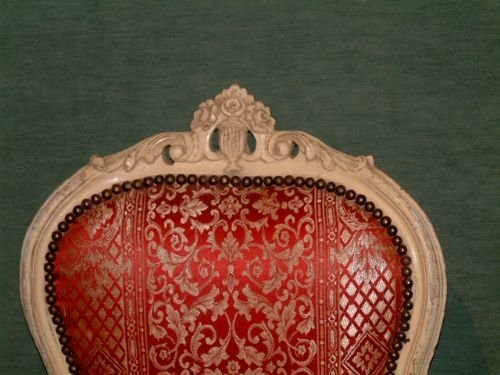 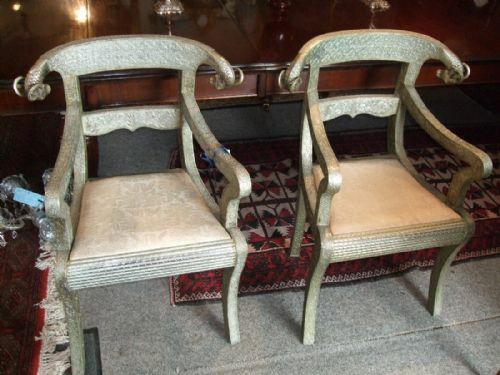 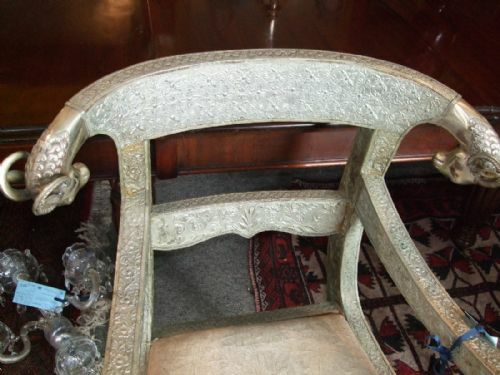 Pair of 1920's Gainsborough Arm Chairs with Nicely Carved Decoration. 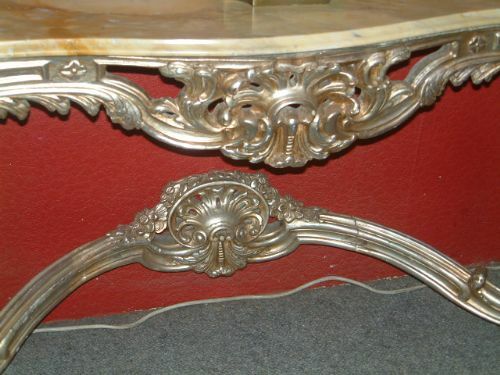 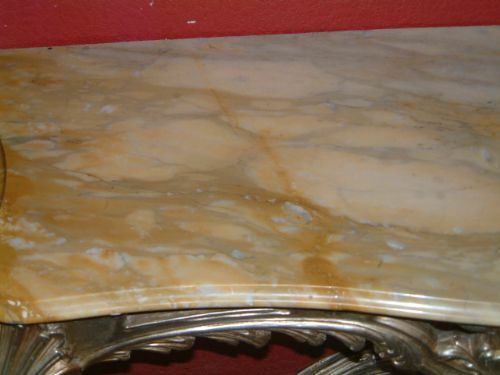 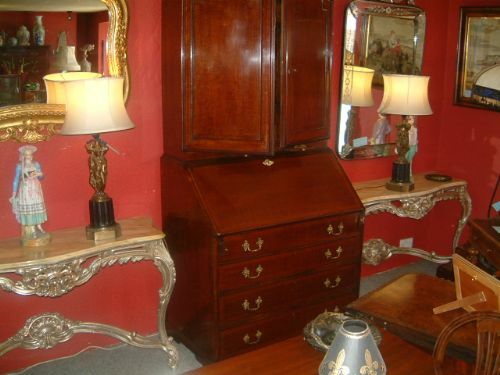 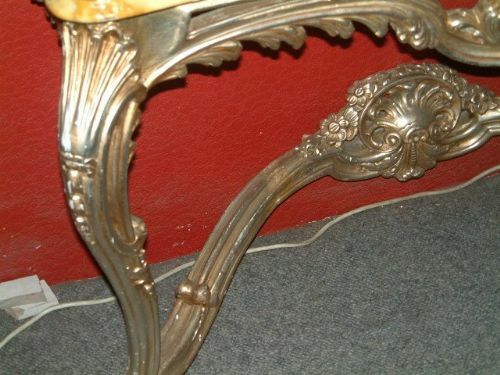 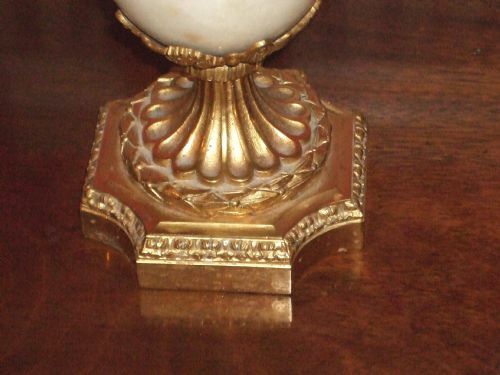 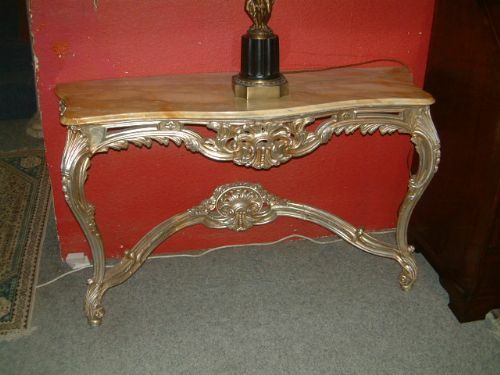 Pair of 1950’s Carved & Silver/GiltWood Console Tables with Marble Tops. 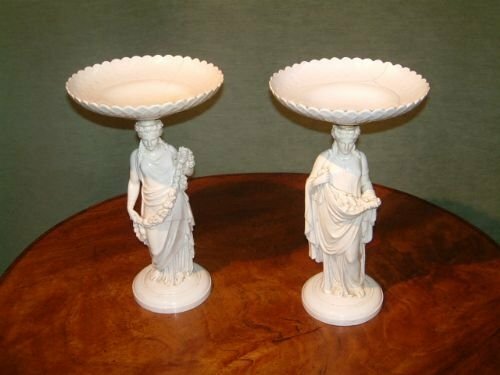 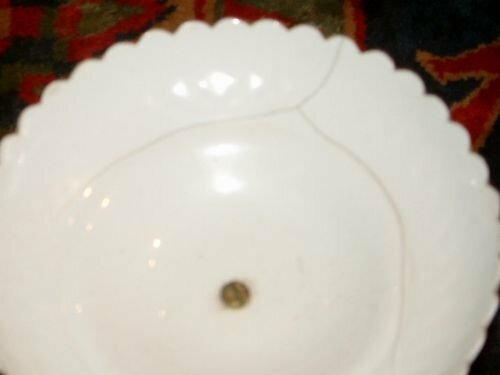 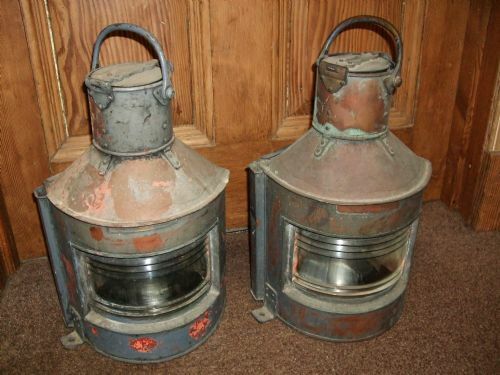 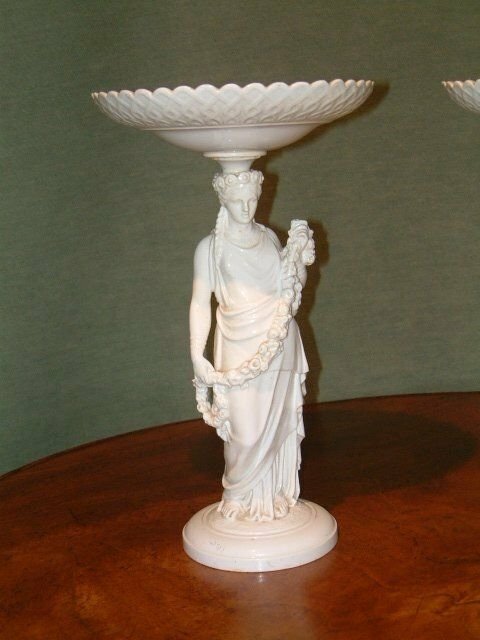 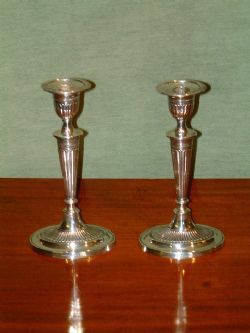 Pair of 19thC. 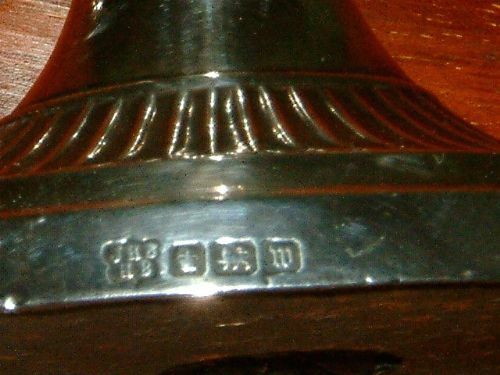 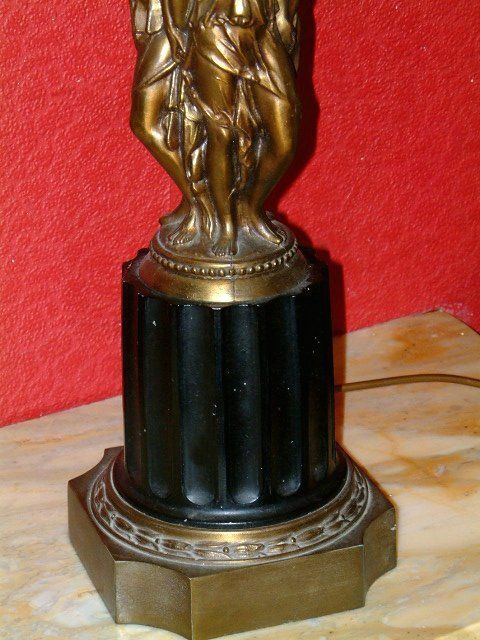 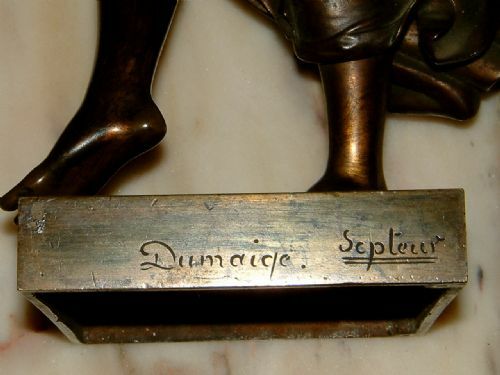 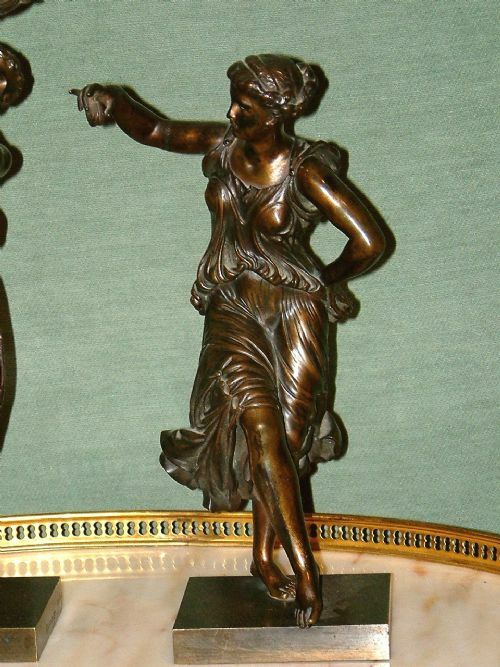 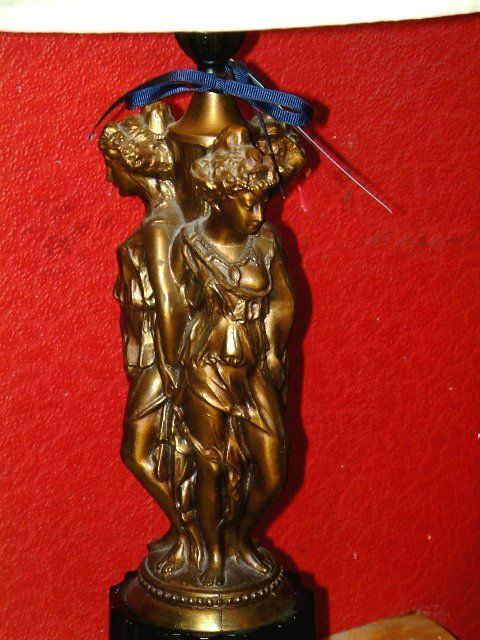 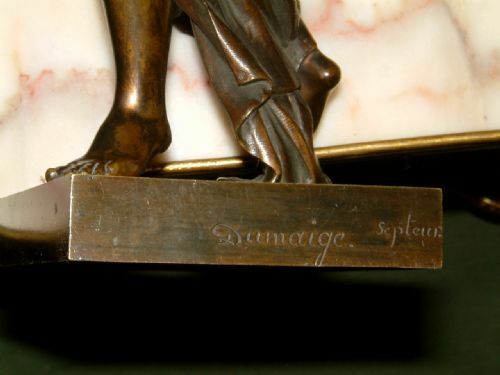 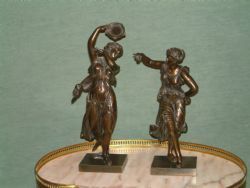 Classical Bronze Figures Stamped Dumaige. 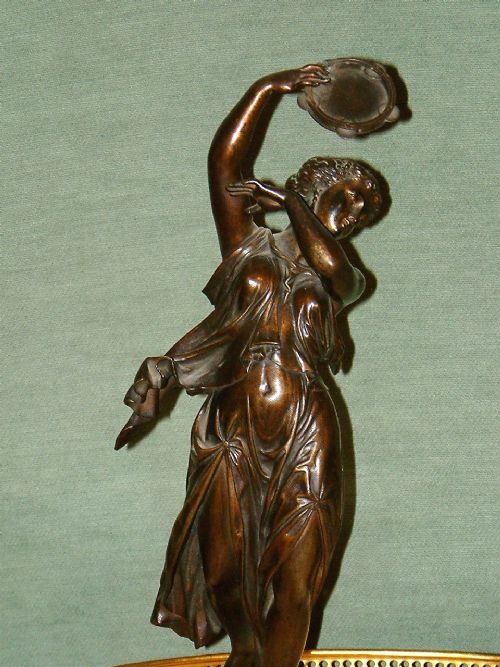 Good Rich Colour & Patination. 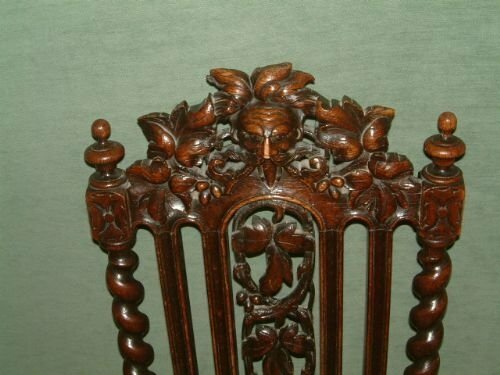 With nice carved Decoration, Good Condition painting probably later. 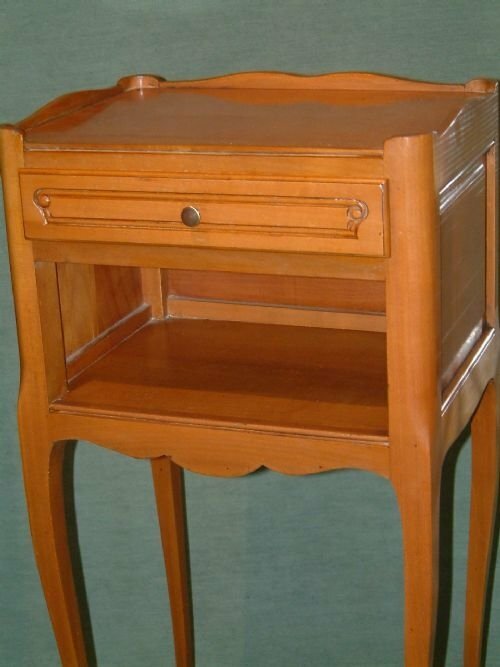 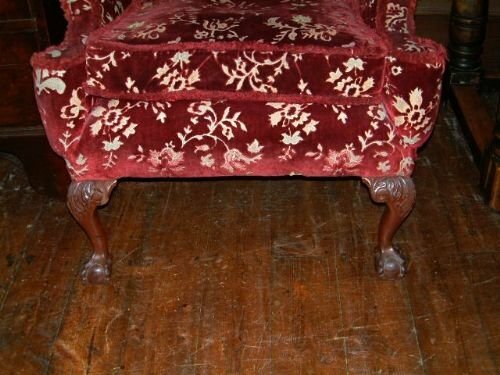 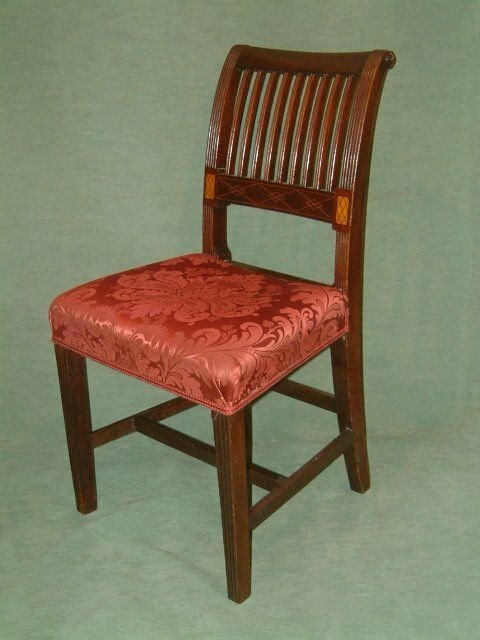 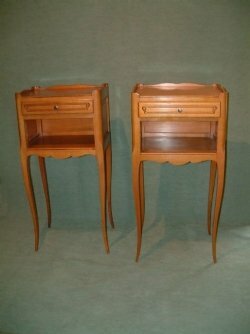 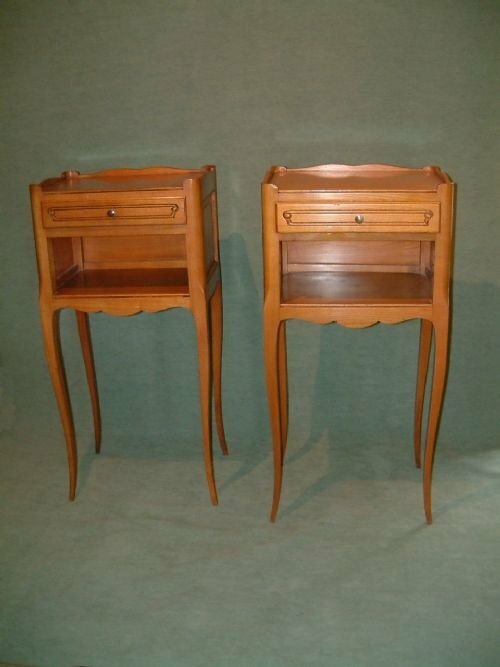 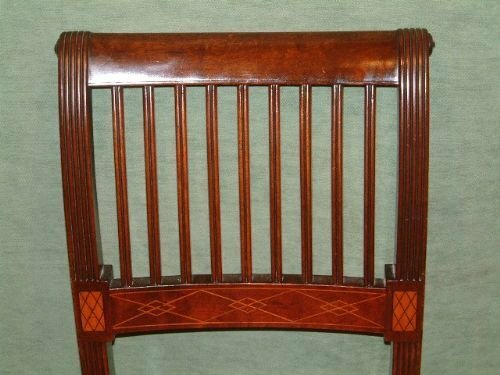 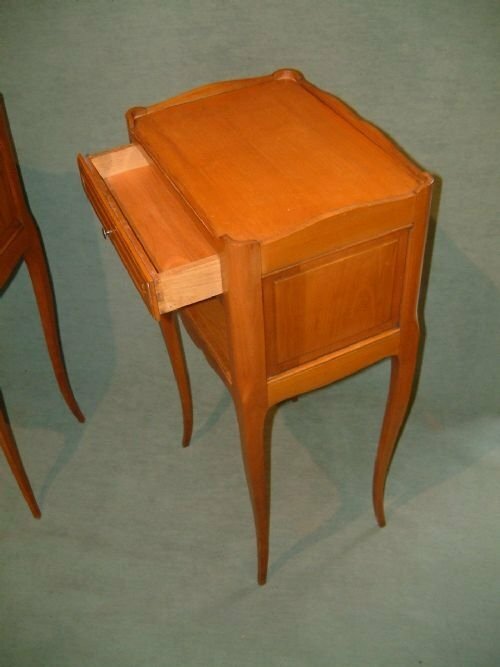 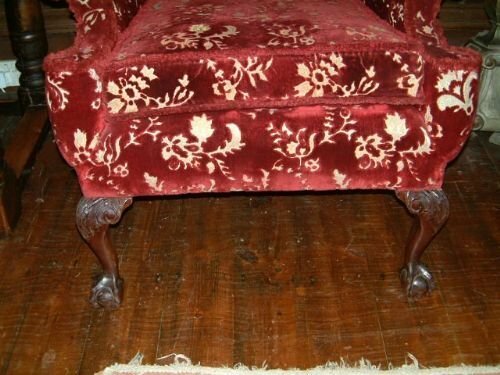 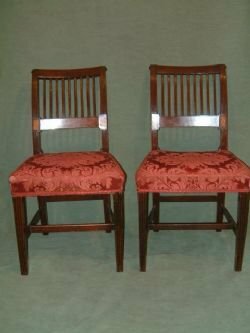 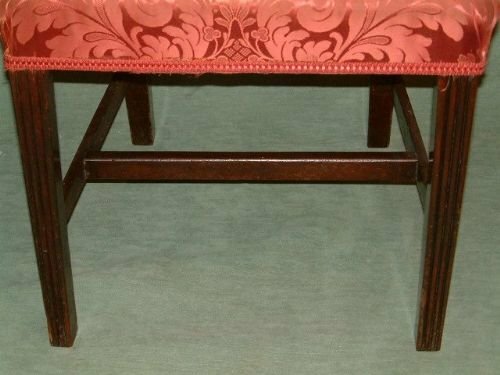 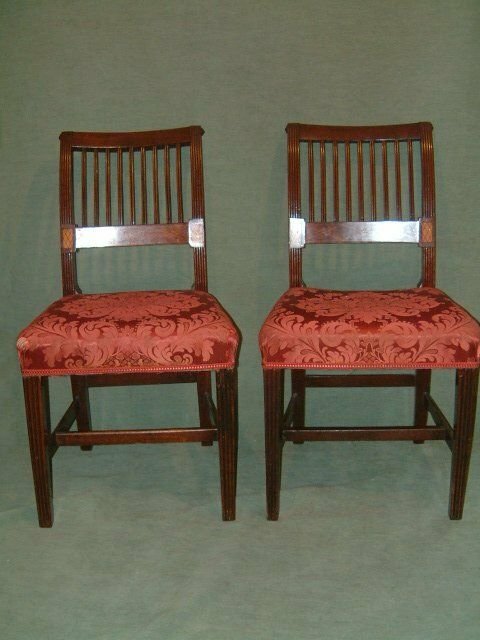 Pair of Inlaid Mahogany George 3rd Side Chairs with Nice Inlaid Decoration. 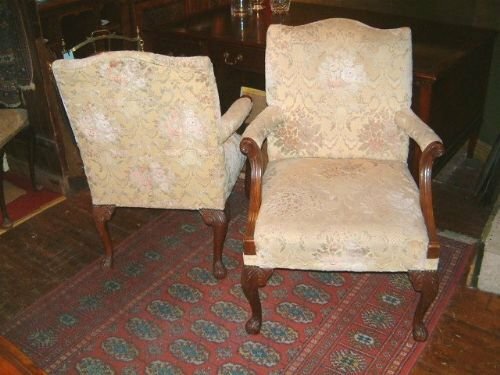 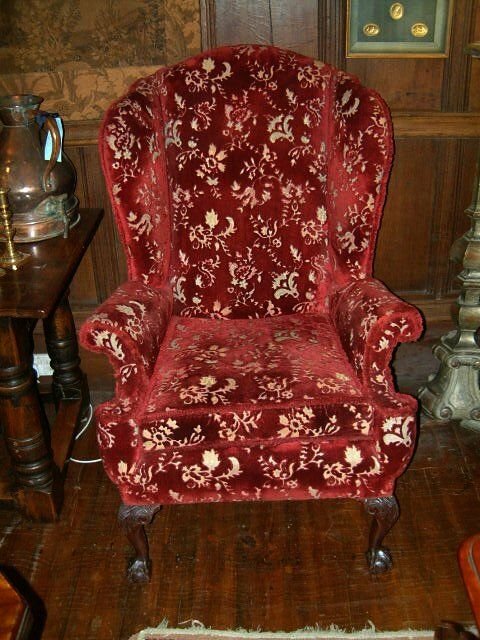 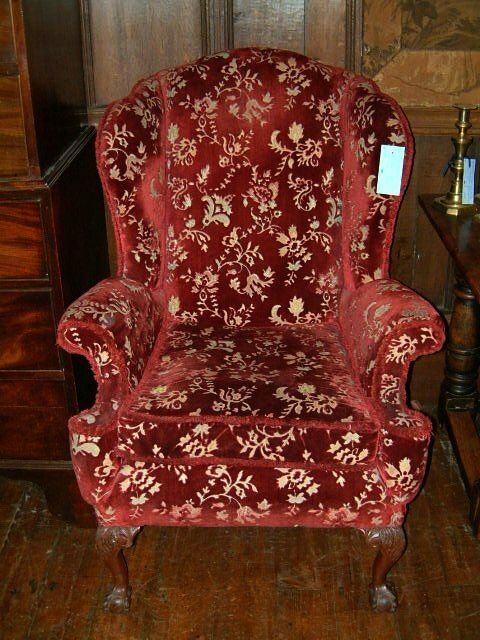 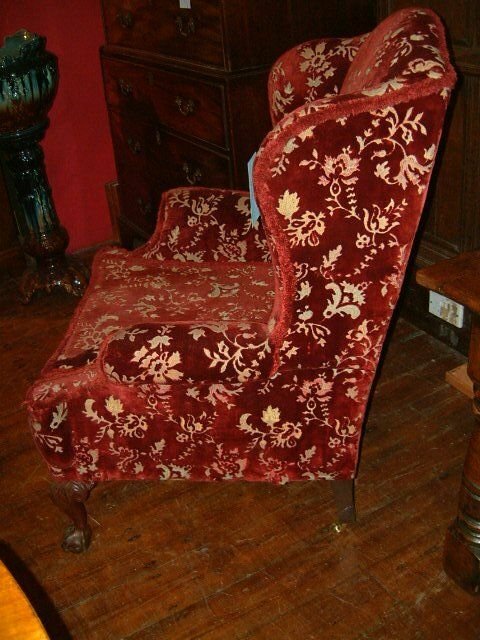 Pair of Ladies & Gentlemen’s 1930’s Upholstered Wing Chairs, with Original Flock Upholstery. 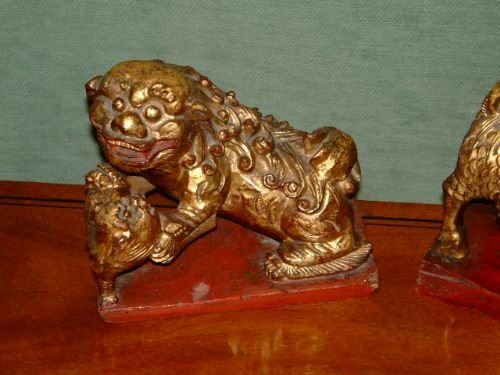 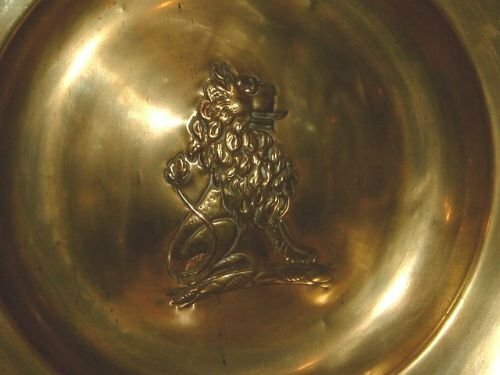 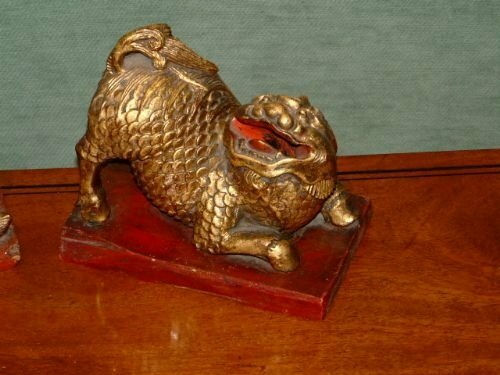 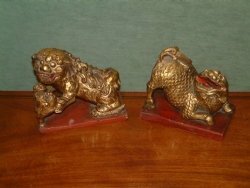 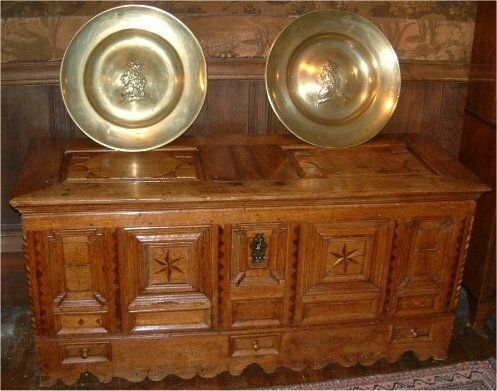 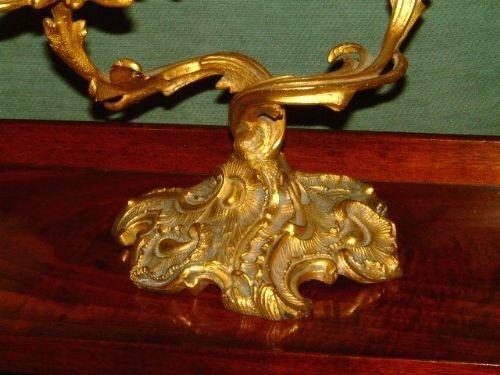 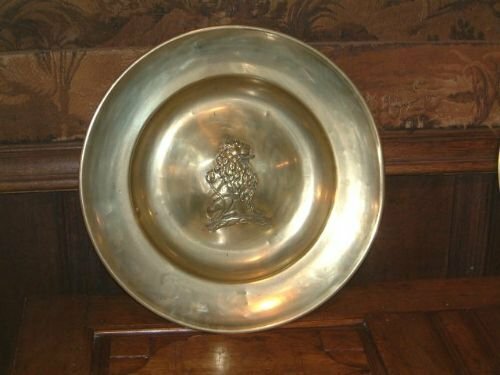 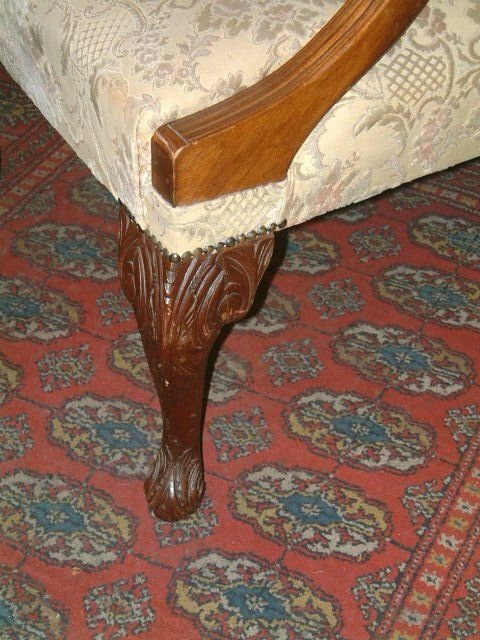 Supported on Ball & Claw Feet with Brass Casters the the rear Legs. 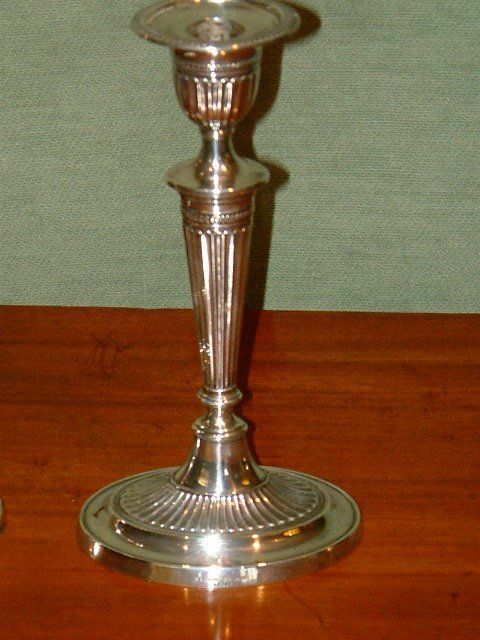 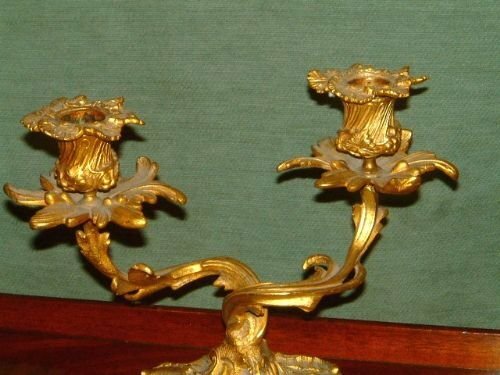 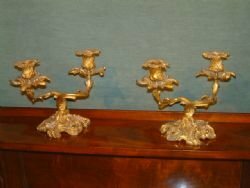 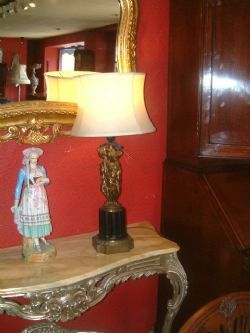 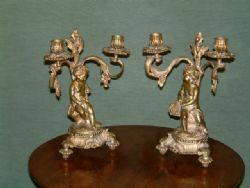 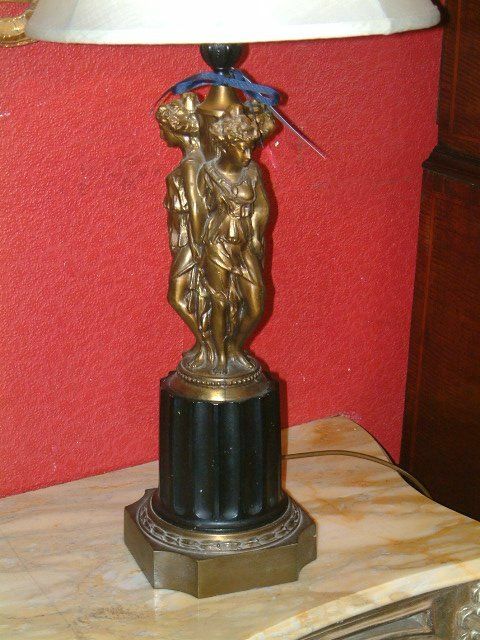 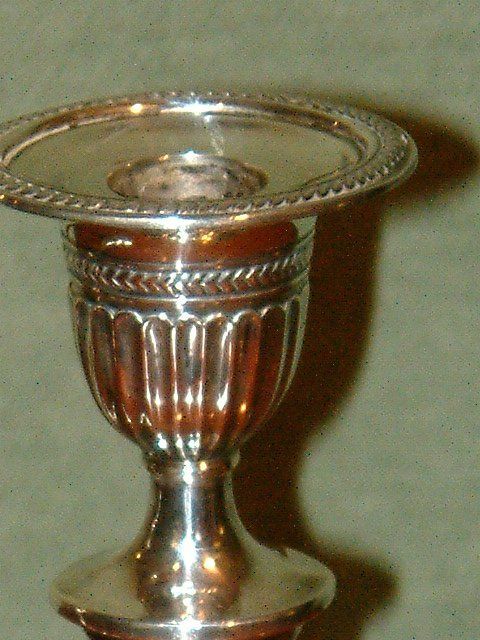 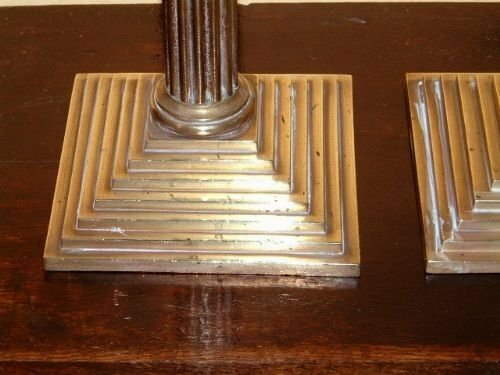 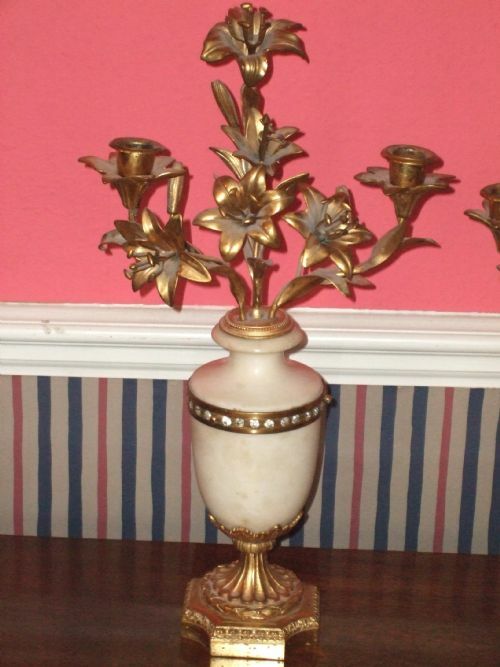 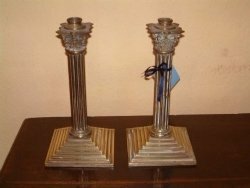 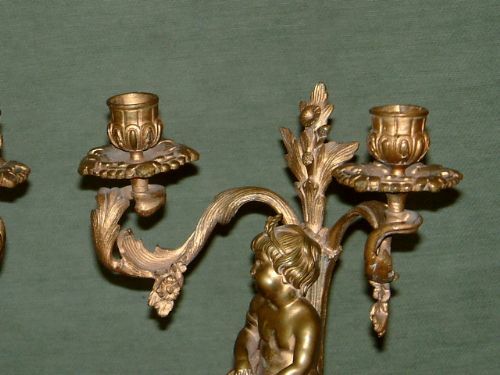 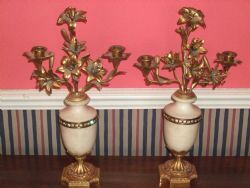 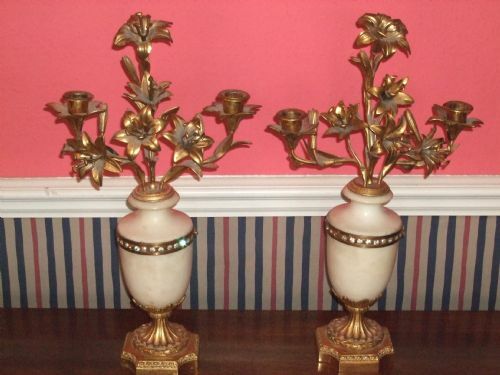 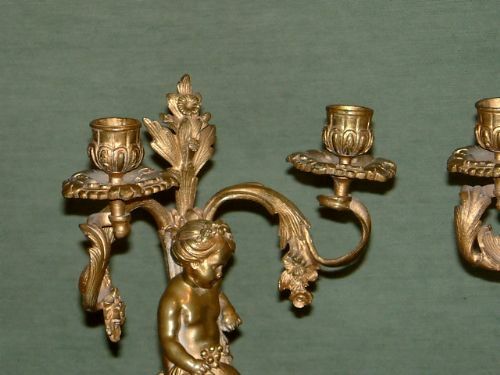 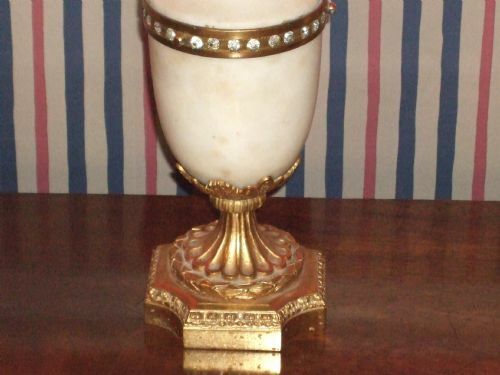 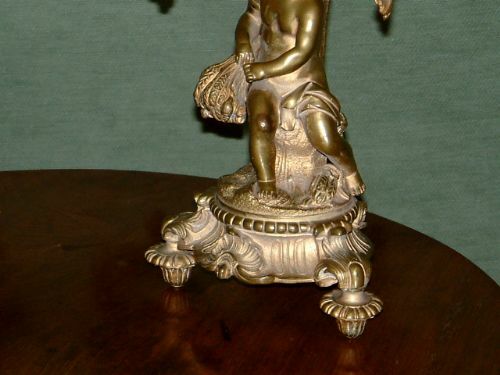 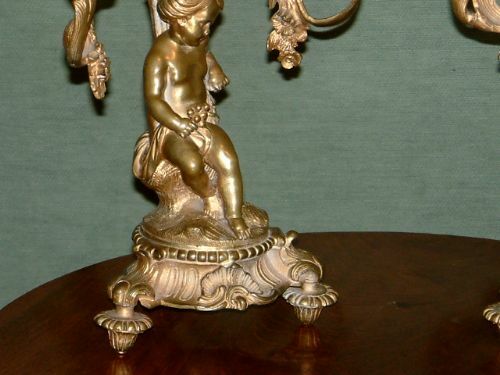 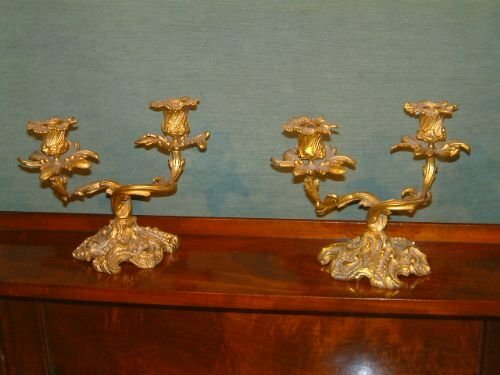 Pair of Victorian Brass Corinthian Candle Sticks with Stepped Base. 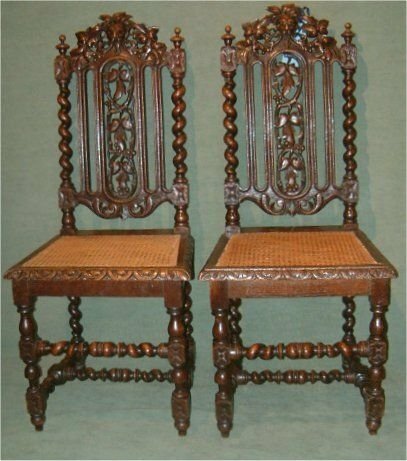 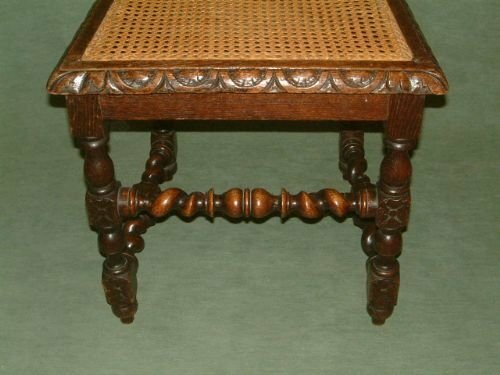 Pair of Victorian Carved Oak Hall Chairs the Nicely Carved Backs above Caned Seats. 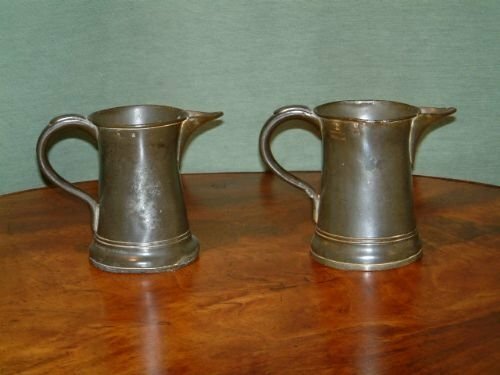 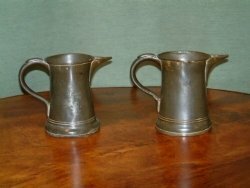 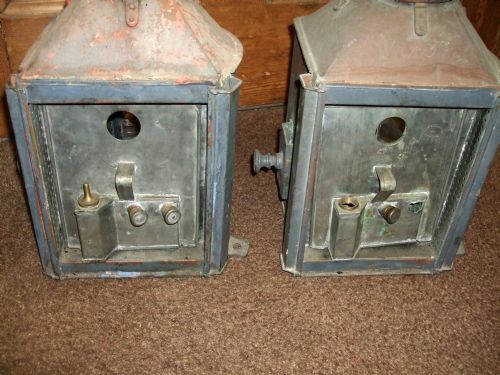 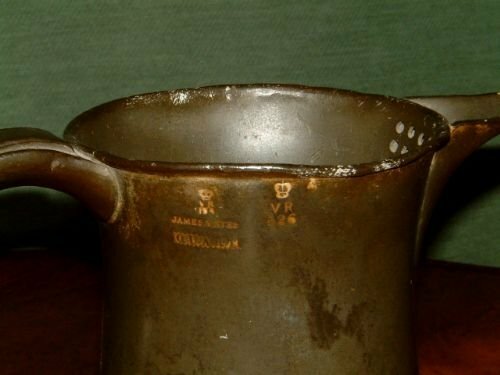 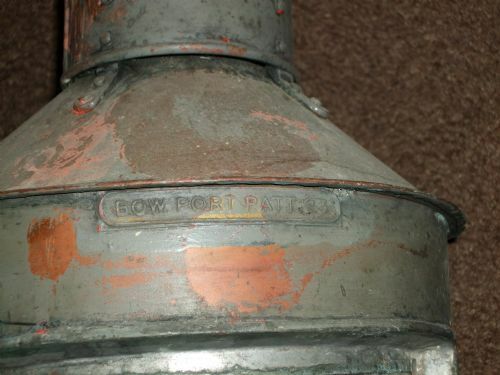 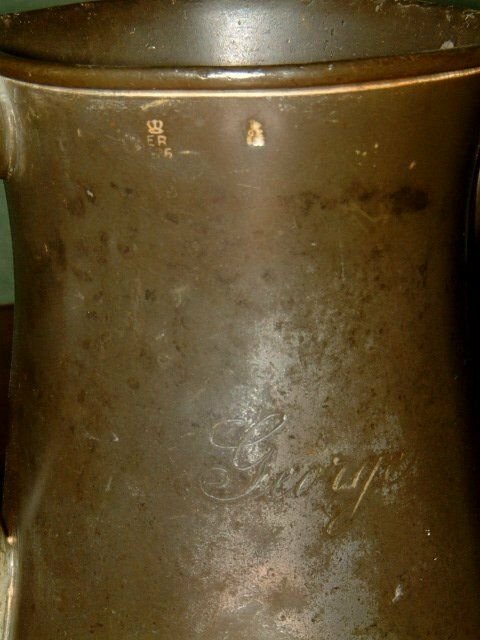 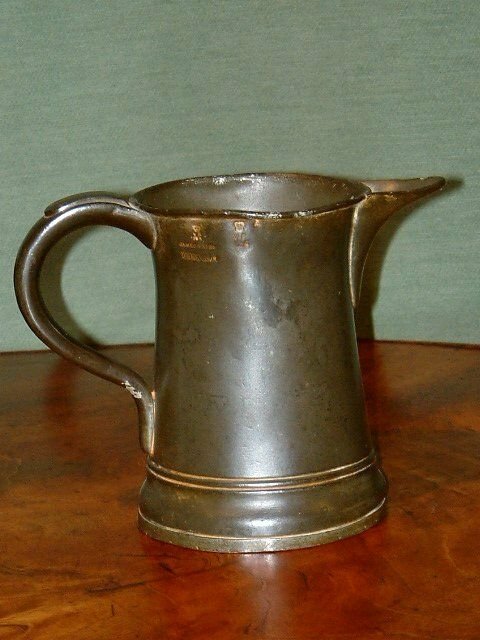 Pair of Victorian Pewter Ale Jugs with Touch Marks.